‘Hugging the index’ – Can active and passive fund management work together? THE debate regarding active and passive investing has been going on for decades. It is probably one of the most debated and researched topics in the investment industry. Regardless of this, the topic has in recent years received renewed attention with various investors from each side of the equation putting forward arguments and statistics to support their views. So why has this topic received so much renewed attention lately? The answer is simple. There has been wide-spread underperformance by active mangers since the economic crises in 2008. Statistics show that 75%-85% of all active managers in the US (United States) underperform their benchmark after fees. For this reason, more and more money is flowing from active funds to passive funds. In the US, during the first half of 2017, flows out of active and into passive funds reached nearly $500bn, resulting in little more than a third of all assets in the US being invested in passive funds. This is up from about a fifth a decade ago. Adding further fuel to the fire is the fact that various famous active investors such as Warren Buffet and Peter Lynch (Active manager) have been publicly encouraging investors to put their money into passively managed funds with low fees. Although these facts and comments are not very positive from an active manager's perspective, it is important to view these facts in context before forming an opinion on the matter. 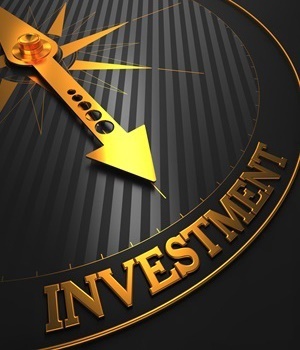 South Africa’s investment environment is different from other countries' and one needs to understand these differences in order to have an accurate understanding of the passive vs active debate. Firstly, ETF’s (Exchange Traded Funds) a passive investment vehicle, has a major tax benefit in the US which is not the case in SA. This makes it attractive for investors to move from active managers to passive ETF funds. Secondly, an index such as the FTSE SWIX top 40 is highly concentrated and has one of the highest turnovers in the world. This means that if you track this index, you will have a large exposure to a specific share and less diversification than other broad market indices in countries such as in the US, Brazil, Mexico and Germany. Also, the high frequency of the index means many of the companies move in and out of the index regularly, increasing costs because of the need to rebalance the portfolio. Thirdly, in SA 71% of the biggest general equity unit trusts, which represent 43% of the market, outperformed their benchmark over 5 years ending 2016. And 86% outperformed their benchmark over 5 years ending 2017. This combats the misperception that SA equity managers continually underperform their benchmark. With active managers globally struggling to generate a positive alpha, passive investing has become the new buzz word. Many investors in the investment industry are promoting this portfolio management strategy as the future. But there are some misperceptions investors have around passive investing. Firstly, passive investing is not that passive. Various index funds these days give exposure to almost anything. This means that you still need to have some sort of stock picking strategy, which is then not passive investing anymore. Indexing works when you have broad exposure to an asset class or the market. Secondly, passive investing has the potential to damage markets. Because these funds do not differentiate between good and bad companies, there is a possibility that they have the potential to destroy shareholder value. Securities are purchased because they are in the index and not because of good supporting fundamentals. Thirdly, passive investors can have very different returns. As motioned there are several different indexes that can be tracked these days. Which means that the returns passive investors gain, might vary across the board depending on which index, asset, share or market you are tracking. For example, the returns on a fund tracking the INDI 25 index, would have yielded a very different return compared a fund tracking the RESI 10 index. In the light of the above here are some of the most important reasons we believe active management is still a relevant investing strategy. 1. Excess returns: With active investing, you will be able to receive returns above that of the market. While with a passive fund you will always only get what the market gives you, never more never less. That being said, it is of utmost importance to choose the right fund manager and also one with competitive fees. 2. Customised Portfolios: With active investing, especially PSP (private share portfolios), the manager can customise the portfolio of the individual to suit the investor's risk/return requirements. 3. Risk Management: The biggest risk is not that of underperformance but the risk of permanent capital loss. An active portfolio manager can reduce this risk by limiting the magnitude and length of drawdowns in the absolute value of the funds. In other words, when the market goes down really bad, an active manager is able to sell securities to prevent permanent capital loss. 4. Expressive: An actively managed portfolio can be constructed to include securities that are in line with an individual’s morals and beliefs and avoid industries that the investor morally objects to. Again, with passive investing the portfolio will be set up to include only securities that is included in the index its tracking. There is room for both active and passive investing. In fact, many active investors make use of ETF (passive investing) to get exposure to a specific market, asset class, country or index for geographical reasons.